With $3 billion in cash in the bank, Tesla said today that it will add to its warchest by selling $1.5 billion in junk bonds to finance its planned surge in production of the mainstream electric Model 3. The rating agencies left their view of the company unchanged, and Tesla shares were steady on the news. The news is not a surprise — CEO Elon Musk signaled in an earnings call with analysts on Aug. 2 that he might sell bonds to raise cash, and analysts had encouraged him to do so while Tesla's image among investors is strong. 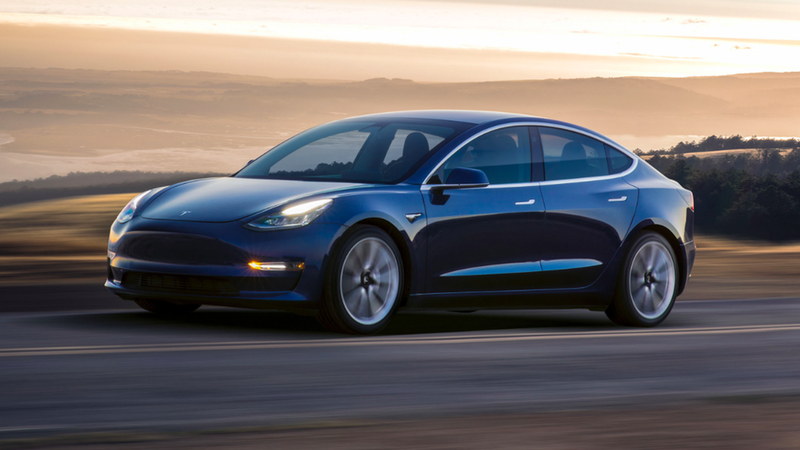 Musk unveiled the Model 3 to substantial fanfare on July 28, with 455,000 pre-orders and plans to ramp up to annual production of 500,000 vehicles by the end of next year, and to 1 million by 2020. Why it matters: The added cash will make Musk's enormously ambitious Model 3 scaleup — not just production of the cars themselves, but a buildup of his Nevada battery "Gigafactory" — more realistic. One level deeper: The Model 3 is seen as a bellwether of a possible new age of electric cars. Should sales continue at the same clip as the pre-orders — at 500,000 vehicles a year or more — the vehicle could trigger a frenzy among rival carmakers, which are already worried that Musk may capture the lion's share of a new car market.